being little • bristol uk fashion & lifestyle blog. 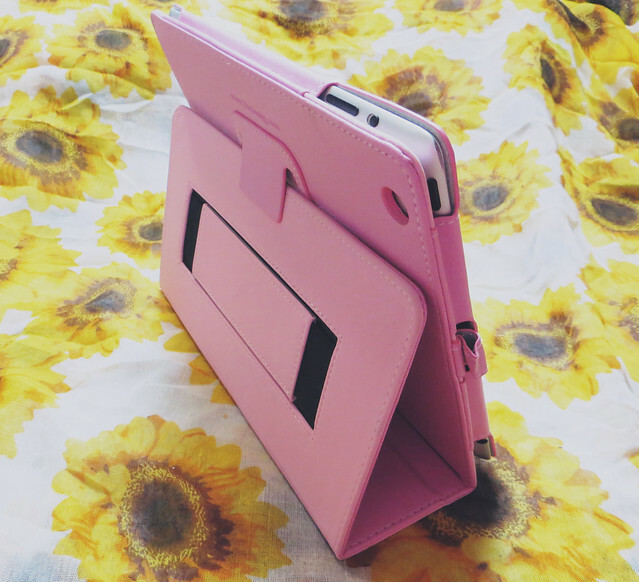 : snugg ipad case. 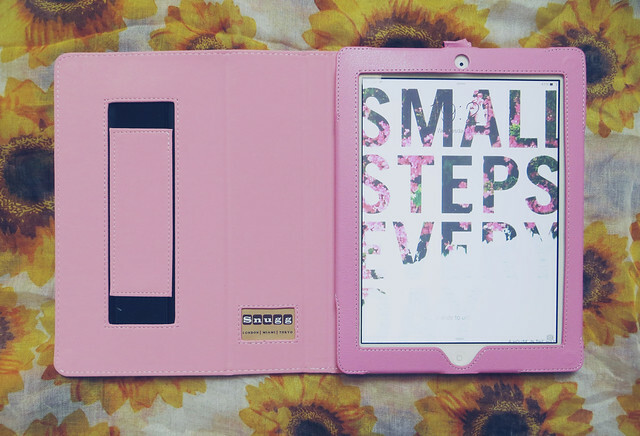 I originally wanted the baby blue case, but I'm quite glad that it was out of stock now, as this pink one goes perfectly with my lock screen image that I found on A House in the Hills about a year ago. 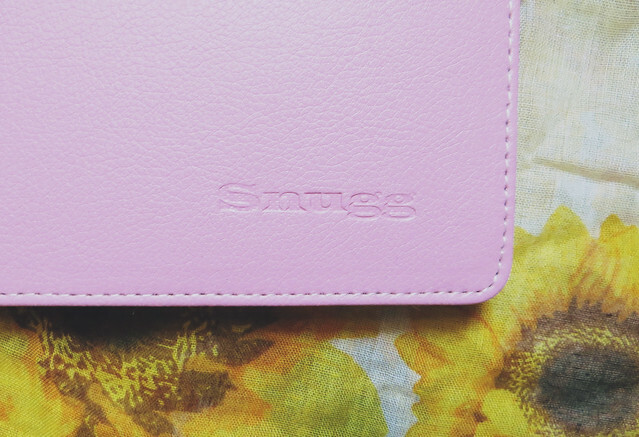 It highlights the pink flowers, which helps me to actually read that helpful little phrase. I can really see why this product is called The Snugg - it fits ever so slightly tighter around my iPad, meaning it doesn't slip around at all and feels very secure. It's also a lot sturdier than my previous case, so I'm not too worried about anything getting damaged when I take my iPad out and about. The flip stand part is also stronger than my previous case (which was just a 3-fold-triangle type jobby) which is great for watching things while I go about my day, or for making some notes. 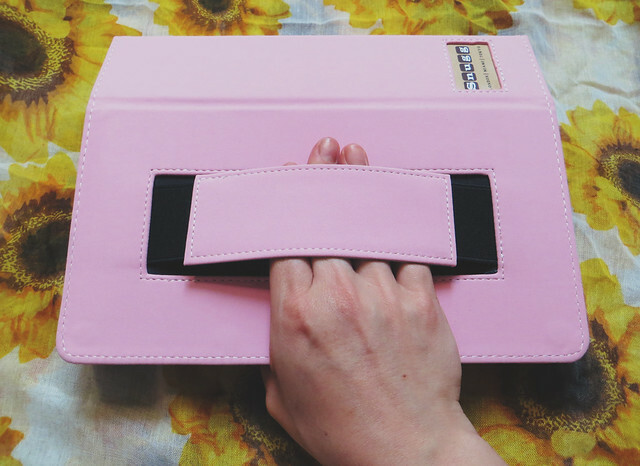 Another great feature is the elasticated hand strap, which is great for holding your iPad securely - something I do worry about quite often, being quite a clumsy person - or for reading in bed. Do you have a tablet? What kind of case do you use to keep it safe? Looks lovely... Really does go beautifully with your lock screen image!